Yes, you can still find valuable coins. Professional Coin Grading Service has certified a recently discovered modern rarity, a 1969 San Francisco Mint doubled die obverse Lincoln Cent. It’s graded PCGS Mint State 64 Red and tied for the finest known! 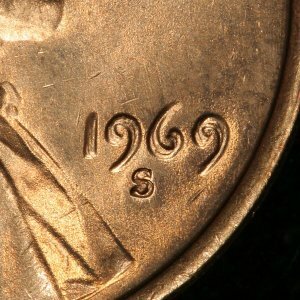 The coin was discovered by Michigan collector, Michael Tremonti, who was examining two rolls of uncirculated 1969-S cents on October 3. After consulting with well-known error-variety expert, Ken Potter, Tremonti submitted the coin to PCGS. Including this latest discovery piece, the PCGS Population Report indicates only 23 1969-S doubled die cents from Very Fine to MS-64, and only two are graded Mint State Red. 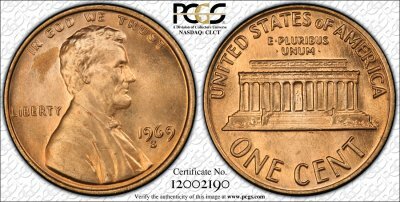 A 1969-S doubled die cent, graded PCGS MS-64 Red Brown was sold for $85,100 in the Bowers and Merena Auctions sale in August. The Tremonti coin is full red, tied for finest known with one other MS-64 Red, and with no higher grade examples in the PCGS Population Report.